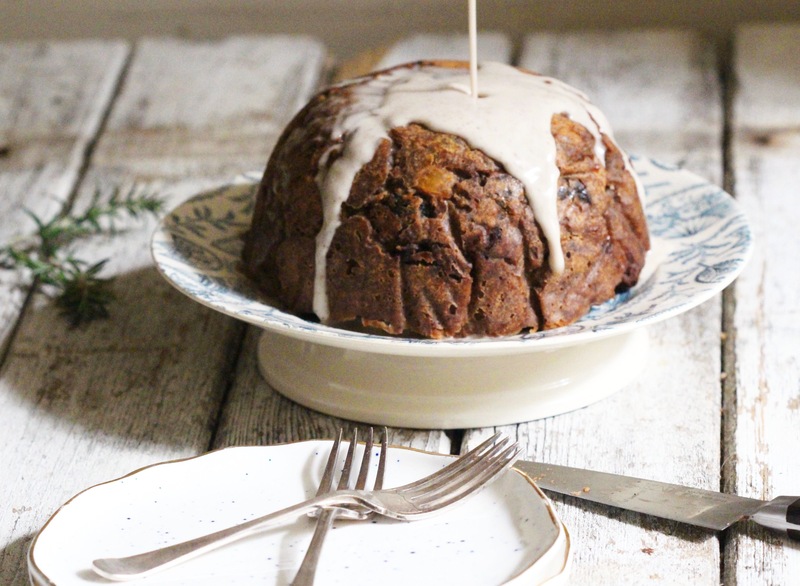 Whether you’re a Christmas pudding fan or not (I’ve only recently become one! ), you’ll love this one. This is such a delicious twist on the classic and is much more simple than most. It’s full of all the usual suspects with a few nutritious tweaks. The vanilla custard makes it, it doesn’t taste coconutty at all and the vanilla powder is a must- you’ll be licking the plate! Make sure you use real vanilla powder, vanilla essence just isn’t the same and it makes all the difference. It using flax instead of eggs, start by whisking together the ground flax and water. Set it aside, stirring often, until it’s the consistency of a raw egg. Grate the apple and add it to a large bowl with the lemon zest, orange zest and juice and dried fruit. Roughly chop the nuts and add them to a large bowl with the coconut sugar, spices, ground almonds and buckwheat flour. Mix well. Add the flour mixture to the fruit mixture and mix. Add the flax or eggs to the mixture and mix thoroughly. Grease or line a 1L pudding bowl. Scrape the mixture into it and then cover with parchment paper and tie a string around the top to seal it. Cover with a layer of tinfoil, pressed tightly around the edges. Place the pudding bowl into a large pot and pour boiling water in around it until it’s half way up the pudding bowl. Pop a lid on and bring to a simmer. Simmer for 1 hour and 45 minutes. 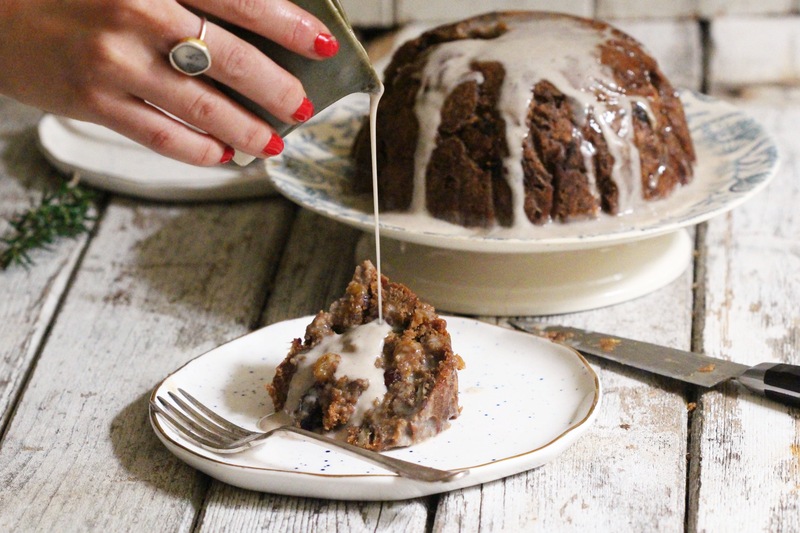 When the pudding is ready, set it aside to cool for a few minutes before opening it. While it’s cooling, add the oat cream to a small saucepan on medium heat. Whisk in the maple syrup and vanilla powder. If you are using vanilla pods, scrape the seeds from inside into the saucepan. Whisk well until smooth. Serve the warm pudding with a generous pouring of cream. How long will this keep? Making it today. Sounds realy nice but is there a substitute for buckwheat flour, i find it difficult to locate.